A quintessentially English wedding set in the Bride’s home. 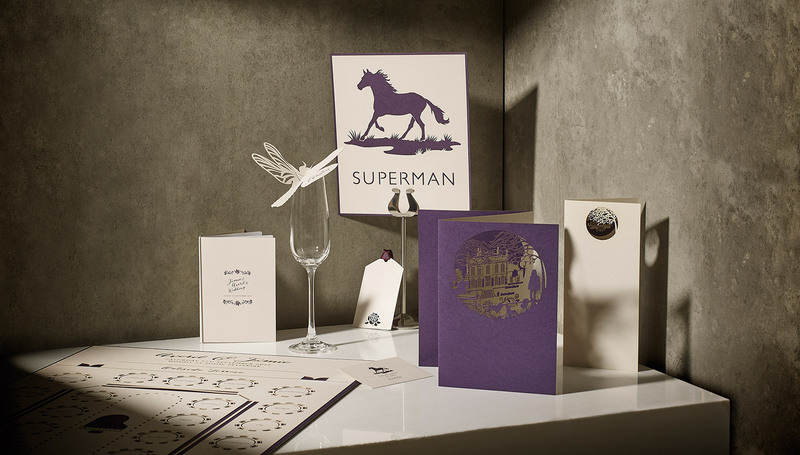 With a husband-to-be as a horse jockey, there was an equestrian theme running throughout the day stationery. Working closely with Avril and Jamie we knew this had to ooze the Quintessentially English wedding they were planning. 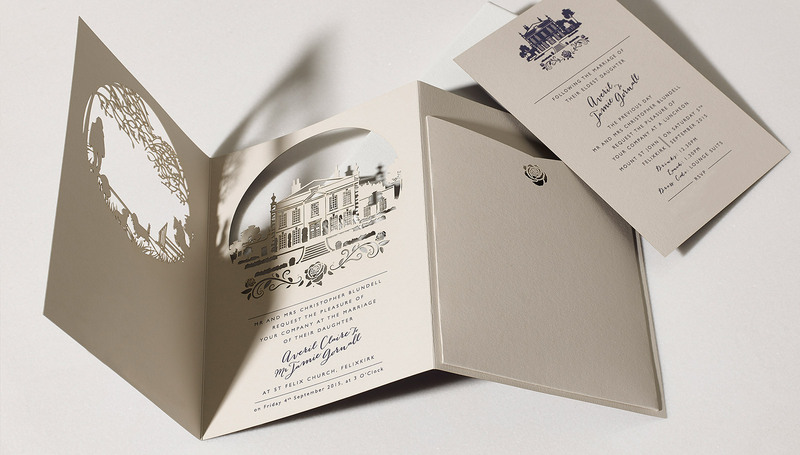 Incorporating their dogs, the Brides parents house as the venue and horses, we created a double fold, laser cut storyboard invitation set within a peephole. 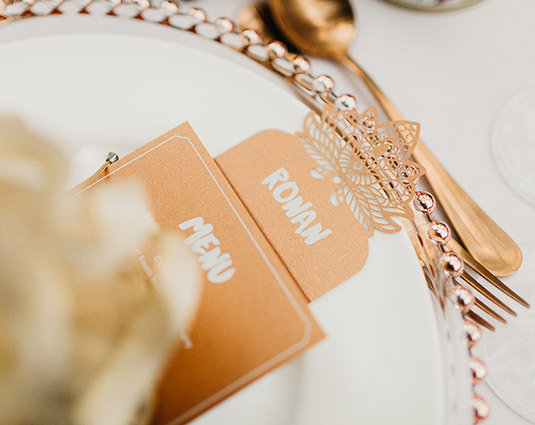 The invitation was slightly larger than standard invitation and we incorporated a beautiful wallet with the back to house all the relevant information guests required for their day. 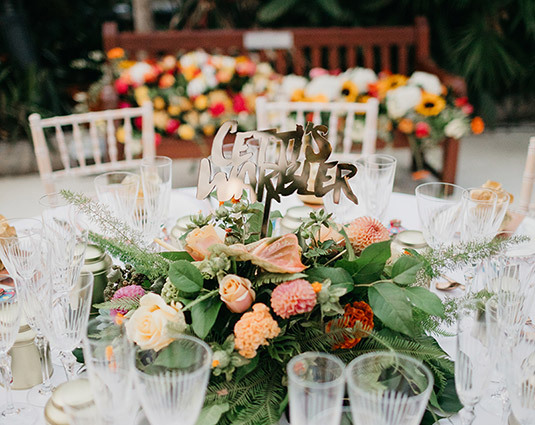 The day stationery included decorative place cards as dragonfly glass perchers, perfect for an English country garden, horses and nicknames for table numbers and a beautifully illustrated table plan to get guests to their seats. 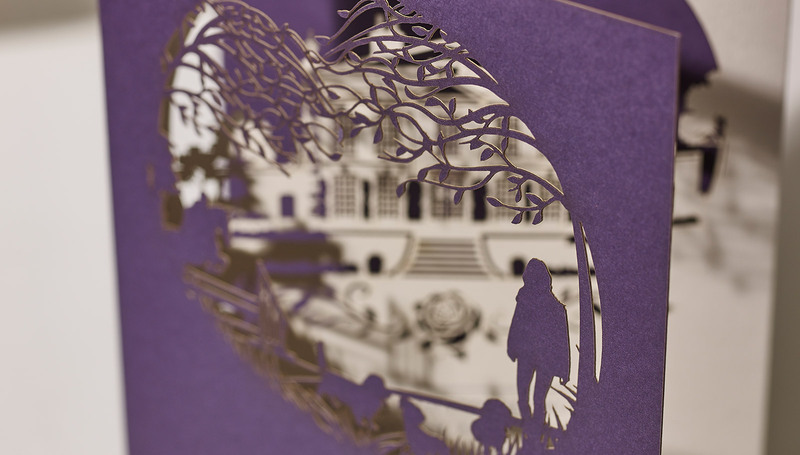 Double fold ‘Your Story’ invitation intricately laser cut from luxury G.F.Smith Duoplan stock in amethyst and mist. Wording and detailing silk screen printed in amethyst. 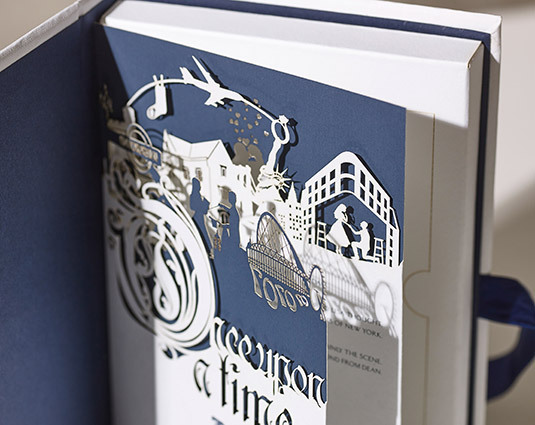 Laser cut wallet to reverse holding silk screen printed information and reply cards along with digitally printed, bound information booklet. 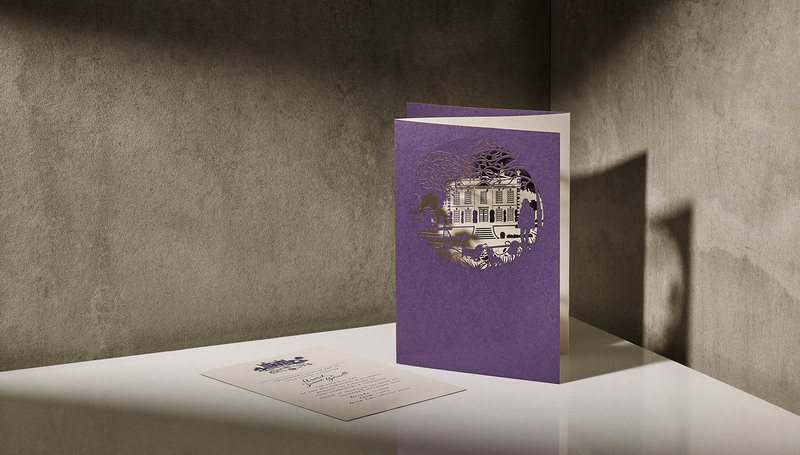 Day stationery elements laser cut from matching luxury stocks digitally printed in amethyst.